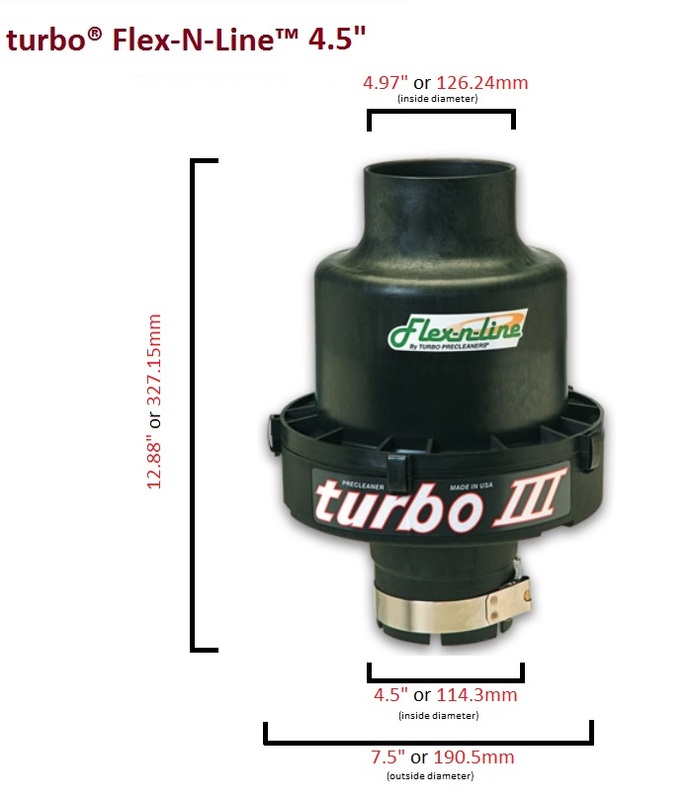 Powered by same smooth and efficient rotor as our turbo III is the turbo® III Flex-N-line™. 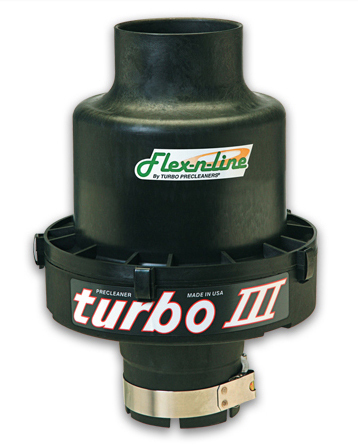 The Flex-N-Line™ offers designers and installers the advantage to install a rotary ejective precleaner that has the performance to operate efficiently under the hood. Low in restriction and efficient across a wide operating range, Flex-N-line is a good option for off-highway machines like cranes, tele handlers, skid steers and other machines where space is limited. 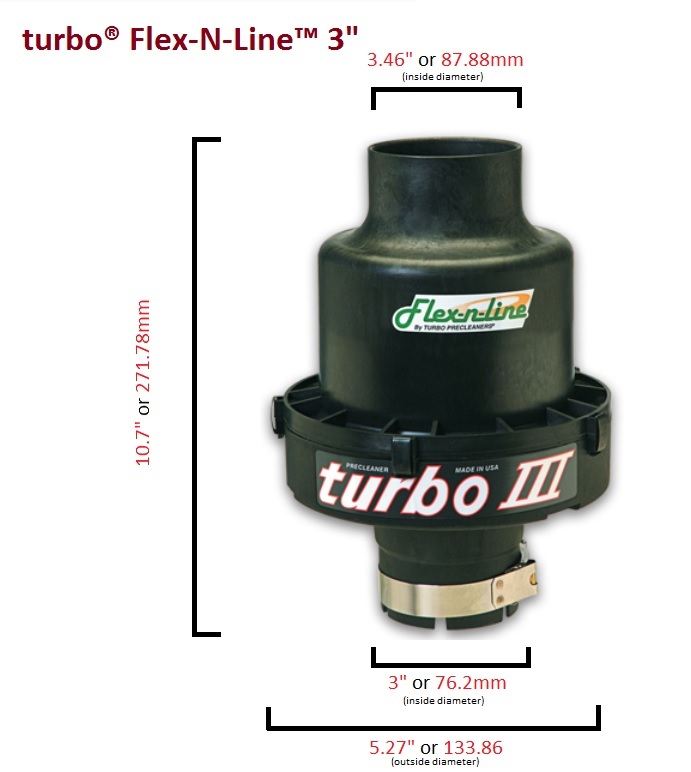 turbo® III Flex-N-Line™ is made out of 33% glass-reinforced polymer (nylon 6), and is designed to be installed in line with the engine and out of. 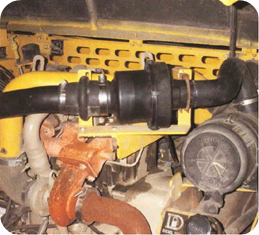 No other competitor offers an “under the hood” precleaner. 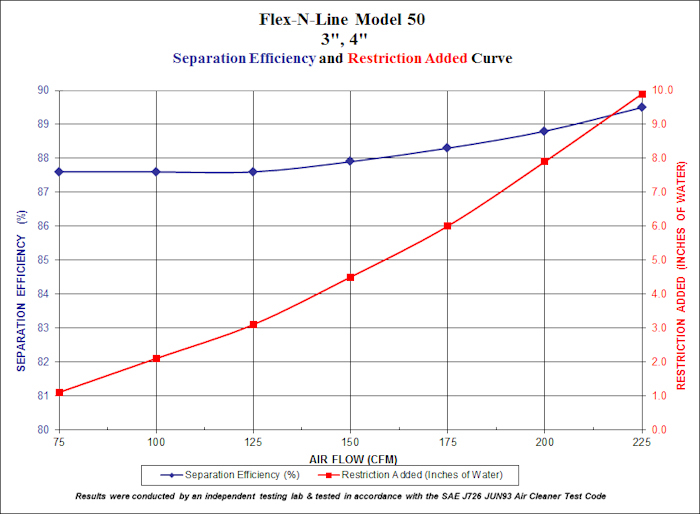 The turbo® III Flex-N-Line™ is the ONLY in-line rotary ejective precleaner model available on the market. 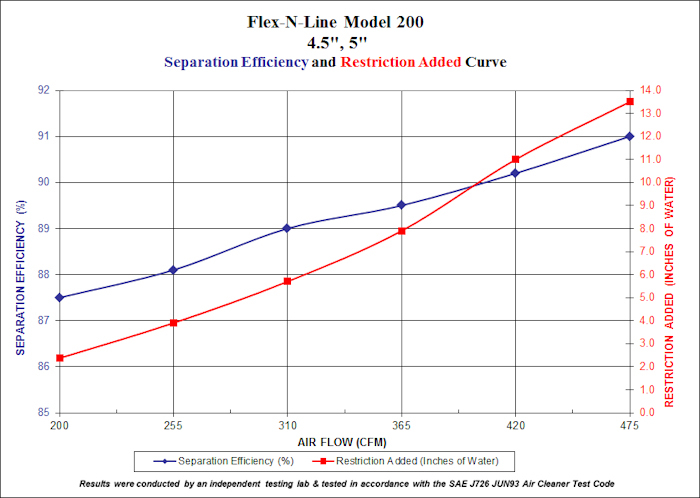 turbo® III Flex N Line™ is currently manufactured in two sizes and covers a CFM range from 75 to 475 CFM. 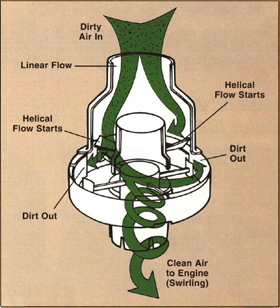 Not interested in an in-line precleaner, check out our turbo® III model.